The centuries old traditional Chinese medicine is playing an important role in health care in its country of origin: China, and other countries in East and Southeast Asia. Its use is now spreading to other parts of the world including the U.S. 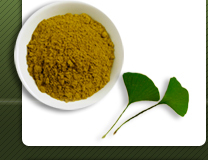 But lack of information or misinformation, make the use of TCM products quite difficult. The often-asked question is whether TCM products have clinical trials. The fact is that these formulas have been safely and effectively used for a long time, some even for a few thousand years. Now in China and neighboring countries officially recognized TCM hospitals are serving health care needs of the millions of people every day. Of course they have clinical trials behind them. Here things are different. Though the FDA has officially recognized traditional Chinese herbal remedies in its Questions and Answers about FDA's Actions on Dietary Supplements Containing Ephedrine Alkaloids (February 6, 2004), TCM products are only allowed as dietary supplements and must be used as such. Clinical use of TCM remedies in other countries is not recognized here. In disregard to the fact that these formulas have been used on humans for centuries, some people even say that it is necessary for us to test these products on mice first! As a matter of fact, during the last few decades, Chinese and other Asian TCM research institutions have done awful lot using modern technology to verify the empirical effects shown with TCM, including lab trials with mice as well as clinical trials with humans. Established efficacy with less side effects and low toxicity level make TCM one of the best alternative health care systems of the world. It is indeed true that as all ingredients of TCM are from nature and they have less side effects and lower toxicity in comparison with conventional drugs and other medications, but no one who is familiar with TCM has said the TCM is free of side effects. As a matter of facts Chinese TCM doctors have always been careful with possible side effects and toxicity level of TCM formulas as well as individual herbs. The popular saying is “all medicine may have certain toxicity in it.” In Chinese pharmacopoeia, herbs are divided into high toxic, medium toxic, low toxic and non-toxic categories and they are used differently. It is natural that Chinese try to use the non-toxic herbs and avoid the toxic one if possible. In time of need however, a qualified TCM doctor never shies away from the toxic ones. Since they have such rich experience with the properties of herbs they know how to manipulate to achieve the expected results. Most of TCM formulas are compound remedies comprising many herbs. To use certain herbs to detoxify or neutralize the toxins contained in another is a necessary training of a doctor. One often-used approach in TCM is to use one poison to eliminate another. The best-known example is the Bovine Bezoar Resurrection Pill . It contains the often considered deadly poisons arsenic and mercury. As the name indicates, it is used in life or death situations such as high fever fright reversal, cerebral ischemic accidents including stroke, etc. For us here in the US, we do not need to worry because this kind of formulas are not allowed to be imported into the country. As for possible toxicity, responsible importers of TCM products take care to help customers use TCM products correctly. Some companies use color scheme to indicate the safety levels of products. For instance, green label indicate non-toxicity and the products can be use long term, and orange red indicate caution and the products are used only when needed, or intermittently. Another issue that has caused considerable concern in the circles of health products industry is the high chemical residues and heavy metals found in some TCM products. China is now one of the fastest developing economies in the world, and money craving makes anything possible. On the other hand in a poor country, to meet the basic needs of the majority is a priority, and improvement must wait. Since both TCM and conventional medicine are recognized as legal medical systems in China, it is not rare to find some formulas made in China that have conventional medicine ingredients in them. But for us who live outside China, here are some positive notes: There have always been two quality standards in manufacturing, standards for internal use and standards for exports. In this case both manufacturers and importers opt for export quality and make sure that prohibited ingredients or contaminated products will not come our way. However users must exercise care not to buy products of dubious quality even in the U.S. market. Some TCM products found in the US are not formally imported but smuggled into the country. So, you must not buy things you do not really know. To carefully examine the labels is a good way. If they are not properly labeled according to FDA regulations they are probably not up to safety standards. To look for credible and well established distributors is another way of insuring good quality. There are two ways to ensure high quality in manufacturing. One is to use wild herbs when necessary and the other is to use extracts. Wild herbs are difficult to get and they are more expensive than the cultivated variety while the extraction processes remove toxins and impurities. The Chinese name of the formula is An Gong Niu Huang Wan. It is made of cow gallstone, coptis, scute gardenia, turmeric, cinnabar, pearl, buffalo horn, realgar, musk, bornea camphor and honey. Here cinnabar is red mercury sulfide and realgar is arsenic monosulfide ( 64.88% of arsenic and 25.12% of sulfide). This is the emergency and life saving formula for high fever coma, stroke and hemiplagia, an award winning and one of the most important exports of all TCM formulas to many countries in Southeast Asia.